As enterprises create data at a rapid pace, many developers find themselves playing catch-up. But one tool many have used in the war against the demand for faster development speeds and agile data management is DevOps. In this expert guide, learn even more about the questions of data shelf-life and organization troubling storage pros today, and see how many of these problems are related to the rise in DevOps adoption. 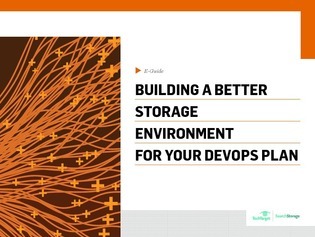 Then, we explore the provisioning, automation, and recycling challenges which crop up when optimizing a storage system for DevOps, and explain how to build the best private cloud environment for your system.